It was 100 years ago today that Ingrid Bergman was born in Stockholm, Sweden. To this day she remains one of the most famous stars from the Golden Age of Cinema and one of those who is still recognised by the general public. She won three Academy Awards, making her tied for second place in number of Oscar wins with Walter Brennan, Jack Nicholson, Meryl Streep, and Daniel Day Lewis as far as actors are concerned. Miss Bergman also won two Emmy Awards and one Tony Award. In the American Film Institute's list of the 25 top female stars, Ingrid Bergman ranked fourth. Ingrid Bergman knew from an early age she wanted to be an actress. She made her film debut in 1932 as an extra in the film Landskamp. She won a scholarship to the Kungliga Dramatiska Teatern or Dramaten (the Royal Dramatic Theatre) in Stockholm, at which Greta Garbo, among other Swedish stars, had trained in acting. It was there that she made her professional stage debut. It while she was on a break during the summer from the Royal Dramatic Theatre that she was cast in a small role in Munkbrogreven (1935). 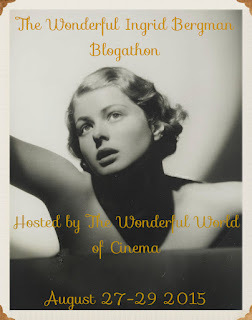 Over the next few years Ingrid Bergman appeared in the films Bränningar (1935), Swedenhielms (1935), and Valborgsmässoafton (1935). Her breakthrough role came in 1935 with Intermezzo (1935), in which Miss Bergman played a piano teacher who has an affair with her student's father. Previously cast in supporting roles, after Intermezzo Miss Bergman played the female lead in the films Dollar (1938), Die vier Gesellen (1938), En kvinnas ansikte (1938), and En enda natt (1939). It would be Intermezzo that would bring Ingrid Bergman to Hollywood. Producer David O. Selznick's assistant Kay Brown had seen the film and as a result Mr. Selznick sent Miss Brown to Sweden in order to secure the rights for an American remake. Once Kay Brown returned to the United States with the rights to do a remake of Intermezzo, David O. Selznick decided he also wanted to sign the film's star. Kay Brown then returned to Sweden where she talked Ingrid Bergman into signing a contract with Mr. Selznick. This is not to say that signing Ingrid Bergman did not come off without a hitch for David O. Selznick. Ingrid Bergman would only commit to one film before deciding if she wanted to stay in Hollywood. And as incredible as it must seem today given Ingrid Bergman's status as one of the great beauties of the Golden Age of Film, Mr. Selznick wanted to give her a Hollywood makeover, including plucking her eyebrows, dyeing her hair, and capping her teeth. Ingrid Bergman refused to have herself made over, and as a result David O. Selznick decided to capitalise on her "naturalness". The American remake of Intermezzo, Intermezzo: A Love Story (1939), proved to be a success. David O. Selznick then signed Miss Bergman to a seven year contract. The years immediately following the release of Intermezzo: A Love Story would prove to be the height of Ingrid Bergman's career. She appeared in Rage in Heaven (1941) and MGM's version of Dr. Jekyll and Mr. Hyde (1941) before appearing in what remains her best known film, Casablanca (1942). She was nominated for the first time for an Oscar for the film For Whom the Bell Tolls (1943) and won her first Oscar for Gaslight (1944). Miss Bergman was nominated for two more Oscars for The Bells of St. Mary's (1945) and Joan of Arc (1948). During this period Ingrid Bergman worked three times with director Alfred Hitchcock, appearing in three of her best known films: Spellbound (1945), Notorious (1946), and Under Capricorn (1949). The two developed a close and long lasting friendship. In fact, while Miss Bergman valued Mr. Hitchcock as a friend and nothing more, the great director fell in love with her. 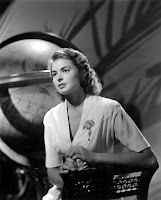 In addition to making films during the Forties, Ingrid Bergman also appeared on stage. In 1940 she appeared on Broadway in Liliom. In 1947 she appeared on Broadway in Joan of Lorraine. She also appeared in the play Anna Christie. Once her contract with David O. Selznick ended Ingrid Bergman went freelance. She appeared in the films Arch of Triumph (1948) and Joan of Arc (1948). She also sought out director Roberto Rossellini. Miss Bergman had seen Mr. Rossellini's films Roma città aperta (1945), known in English as Open City, and Paisà (1945), known in English as Paisan, and admired both of them. Miss Bergman then wrote to Mr. Rossellini and offered to work with him. 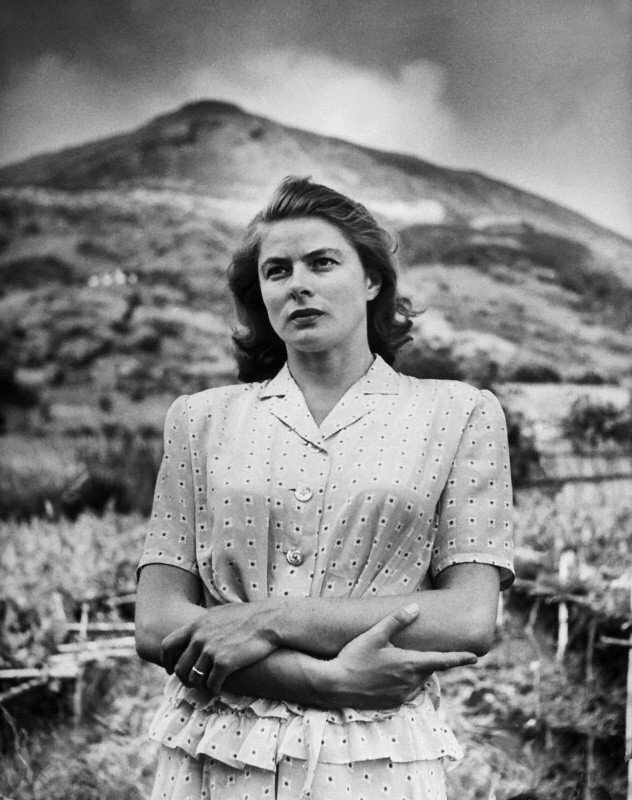 In the end Ingrid Bergman travelled to Italy to appear in his film Stromboli (1950). Ultimately Ingrid Bergman and Roberto Rossellini fell in love with each other. Miss Bergman left her husband, Petter Lindström, for Mr. Rossellini, and she was not yet divorced when she was pregnant with their first child, Robertino Rossellini. Unfortunately the affair would cause a scandal in the overly conservative United States of the 1950s, with the end result being that Miss Bergman's career would suffer in America. She was widely denounced in the American press and even on the floor of the Senate by Senator Edwin C. Johnson. At the time individuals such as Steve Allen, who had Ingrid Bergman as a guest on his show during the ensuing scandal, seemed increasingly rare in the United States. Having gone from one of Hollywood's top stars to persona non grata almost overnight, Ingrid Bergman moved to Italy. There she made such films as Europa '51 (1951), Viaggio in Italia (1954), and Elena et les hommes (1956). 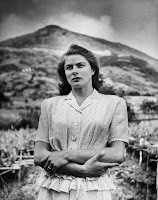 As to Stromboli, it would come to be regarded as one of Ingrid Bergman's greatest films. Despite the scandal that ensued in the United States, she won the Italian Syndicate of Film Journalists' award for Best Foreign Actress in Italian Film and Roberto Rossellini was nominated for the Golden Lion at the Venice Film Festival. Fortunately Ingrid Bergman would be able to make a comeback in Hollywood with the film Anastasia (1956). In the film Miss Bergman played an amnesiac who may or not be the Grand Duchess Anastasia Nikolaevna of Russia. The cast included such stars as Yul Brynner, Miss Bergman won another Oscar for Best Actress in a Lead Role for the film. She did not attend the Academy Awards ceremony, so her friend Cary Grant accepted for her. Miss Bergman was a presenter at the 1958 Academy Awards ceremony, at which she received a standing ovation. Following Anastasia Ingrid Bergman appeared in several films, as well as television. She won her first Emmy in 1959 for an adaptation of Turn of the Screw that aired on the anthology series Startime. She won a second Emmy for her role in the mini-series A Woman Called Golda, which would also be her final acting role. She won the Oscar for Best Actress in a Supporting Role for Murder on the Orient Express (1974) and was nominated for the Oscar for Best Actress in a Leading Role for Höstsonaten (1978). Over the years she appeared in such films as Indiscreet (1958), The Inn of the Sixth Happiness (1958), and Cactus Flower (1969). The United States Senate would even make amends for the attack on her because of her affair with Roberto Rossellini in 1950. In 1972 Senator Charles H. Percy entered an apology into the Congressional Record for the earlier attack. Sadly, Ingrid Bergman died from breast cancer in London on her 67th birthday, August 29 1982. There are those stars whose primary claims to fame are that they are exceptionally beautiful or exceptionally glamorous. Ingrid Bergman was incredibly beautiful and she was also very glamorous, but her fame stems from much more than that. Quite simply, Ingrid Bergman was one of the greatest actresses to grace the silver screen. Much as she was acclaimed for her natural beauty, Ingrid Bergman's acting style was entirely natural as well. Her acting was never forced or contrived. The characters she played in her films seemed less like movie characters than they did real people. The sensitivity Miss Bergman approached her roles and her sheer versatility in the sort of roles she played could not help but endear her to the movie viewing public. Over the years Ingrid Bergman played everything from the wife of a resistance leader to a nun to an amnesiac who may be the last surviving daughter of Tsar Nicholas II. 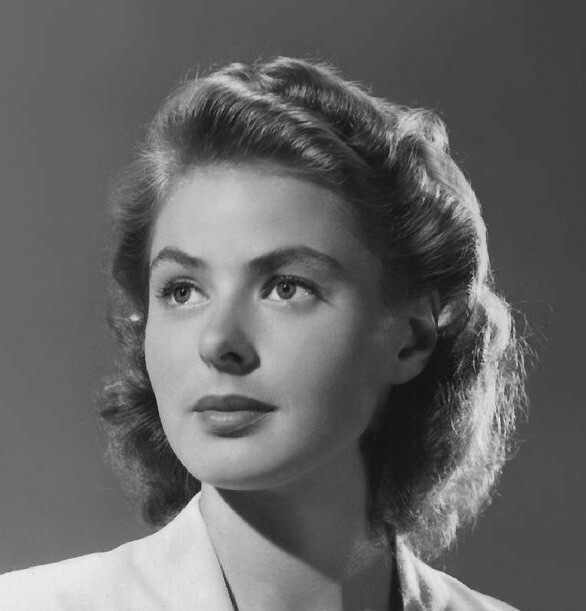 While Ingrid Bergman was and still is loved by the general public, she was valued by the movie industry as well. She was well known for her professionalism. She was well known for her lack of temperament and was known for going into roles fully prepared. She continued to work even after she was diagnosed with cancer, even then still displaying the professionalism she had earlier in her career. One hundred years after her birth Ingrid Bergman is still one of the most famous film stars of all time. While many once famous stars are now only known to classic movie buffs, "Ingrid Bergman" is still a name familiar to the general public. Indeed, her best known films (Casablanca, Notorious, Spellbound, and The Bells of St. Mary's) continue to be popular. One has to suspect that one hundred years from now Ingrid Bergman will still be as famous and beloved as she is now. Arguably the height of legendary actress Ingrid Bergman's career was the mid-Forties. It was in 1942 that she appeared in what may be her most famous film, Casablanca. The success of Casablanca was followed by other successful hit films, including For Whom the Bell Tolls (1943), Spellbound (1945), and Notorious (1946). 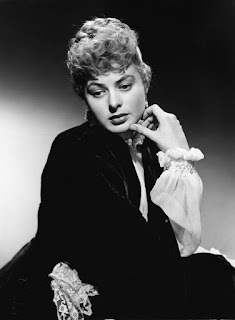 Among Miss Bergman's successes of the era was Gaslight (1944), in which she played Paula Alquist Anton, a woman nearly driven to madness by her husband (Gregory Anton, played by Charles Boyer). For her role as Paula, Ingrid Bergman won the Academy Award for Best Actress in a Lead Role. In retrospect there should be little wonder that Gaslight (1944) was a success. Not only were both stars Ingrid Bergman and Charles Boyer at the peaks of their careers, but the film was based an already existing and very successful property. The film was based on the play Gas Light by Patrick Hamilton, which debuted on London's West End at the Apollo Theatre in December 1938. Gas Light proved extremely successful, so much so that both it and its subsequent movie adaptations would give rise to the term gaslighting, referring to the psychological manipulation of someone into questioning his or her own sanity. Gas Light made its way to the United States where it ran on Broadway, for whatever reason, under the name Angel Street. Angel Street debuted on Broadway on December 5 1941 and ran until December 30 1944. The popularity of the play Gas Light in the United Kingdom guaranteed that there would be a film adaptation. Indeed, the first one was made before the play even arrived on American shores. Gaslight (1940) was produced by British National Films and directed by Thorold Dickinson. It starred Anton Walbrook and Diana Wynyard in the lead roles of Paul and Bella Mallen respectively. Gaslight (1940) was well received by audiences and critics alike in the United Kingdom. Columbia bought the American distribution rights to Gaslight (1940) and planned to release it in the United States. For various reasons, Columbia never did release the original, British adaptation of the play. Regardless, the success of the play on both sides of the Atlantic would lead MGM to buy the American film rights for $150,000. As early as August 1944 The New York Times reported the rumour that MGM had ordered every single copy of the 1940 adaptation of Gaslight destroyed. Despite the persistence of the rumour to this day, Gaslight (1940) would eventually be released in the United States under the title Angel Street by Commercial Pictures in April 1953. 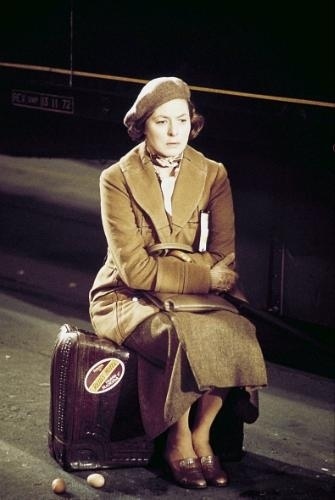 While Ingrid Bergman would go onto win the Oscar for Best Actress for her role as tormented wife Paula Alquist Anton, she very nearly did not get the part. In October 1942 it was Irene Dunne and Melvyn Douglas who were announced as the stars of MGM's adaptation of Gaslight. MGM later offered the role of harassed wife Paula to Hedy Lamarr, who turned the role down (curiously, she had earlier turned down Casablanca, perhaps Ingrid Bergman's most famous role). Miss Bergman had seen the play when it had been on Broadway and even tried persuading David O. Selznick (to whom she was under contract) to buy the film rights. Unfortunately, Mr. Selznick refused. Quite naturally when she learned MGM was producing its own version of the play, Miss Bergman asked him to loan her to MGM so she could play the female lead. Unfortunately Mr. Selznick would do so only if she was given top billing over Charles Boyer. Mr. Boyer refused to take second billing to Ingrid Bergman. At last Ingrid Bergman broke down in tears and begged David O. Selznick to loan her to MGM for the film. Fortunately, Mr. Selznick acquiesced. There was one minor complication in Ingrid Bergman playing opposite Charles Boyer, one that seems somewhat laughable today. Ingrid Bergman was tall for a woman of the era, standing 5 foot 9 inches. Charles Boyer was about average height for a man of the era, also standing 5 foot 9 inches. Unfortunately at the time Hollywood liked for its male leads to be taller than its female leads. As a result Charles Boyer played many of his scenes opposite Ingrid Bergman standing on a box or wearing shoes with two inch heels! Here it should be noted that in addition to Ingrid Bergman and Charles Boyer, the cast also boasted Dame Angela Lansbury in her film debut. Miss Lansbury was only seventeen when shooting on the film began, so that a scene in which she smokes a cigarette had to be delayed until after her eighteenth birthday. It was an auspicious start to Miss Lansbury's career. Not only did she have a significant role in a hit film, but she was nominated for the Oscar for Best Actress in a Supporting Role. Gaslight would turn out to be a hit with both critics and audiences. Gaslight earned $2,263,000 in the United States and Canada, and it was the thirteenth highest grossing film in the United States for 1944. The film also did well as the Academy Awards. In addition to Ingrid Bergman's win for Best Actress in a Leading Role for the film, Gaslight also won the Oscar for Best Art Direction-Interior Decoration, Black-and-White. It was nominated for the Academy Awards for Best Picture; Best Actor in a Leading Role (for Charles Boyer); Best Actress in a Supporting Role (for Angela Lansbury); Best Writing, Screenplay; and Best Cinematography, Black-and-White. Over the years there has been some debate as to whether Ingrid Bergman deserved to win the Oscar for Best Actress for Gaslight. After all, 1945 was the year that Barbara Stanwyck was nominated in the category for Double Indemnity (1944), while Bette Davis and Greer Garson received nominations for Mr. Skeffington (1944) and Mrs. Parkington (1944) respectively. While one could debate whether Ingrid Bergman or someone else deserved to win, it is hard for me to understand how anyone could say that Ingrid Bergman did not give a good performance as Paula in Gaslight. Bergman does a good job of taking Paula from a naive young girl in love to a young woman who is convinced that she is going out of her mind. What is more, she plays off Charles Boyer and he plays off her quite well. Including Angela Lansbury in her first film role, it would seem obvious that Gaslight is very much a film to watch for its cast's performances. Today Gaslight remains one of Ingrid Bergman's better known films. It marked the occasion of her second Oscar nomination (the first was for For Whom the Bell Tolls) and the first Oscar she ever won. It remains one of those films every Ingrid Bergman fan must see. 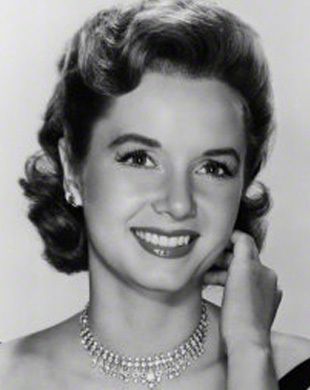 I must confess that almost as far back as I can remember I have always had a crush on Debbie Reynolds. I'm not sure where I first encountered Miss Reynolds. It may have been on her short-lived sitcom on NBC or it may have been one of her many movies. Regardless, my heart has always beat a little faster any time I see her on the small or big screens. Indeed, as a boy I figured Eddie Fisher must have been crazy to have left Debbie Reynolds for Elizabeth Taylor. Okay, I learned soon enough that at the time Elizabeth Taylor was considered the "most beautiful woman in the world", but Debbie Reynolds was, well, Debbie Reynolds. Given I have carried a torch for Debbie Reynolds for more years than I would like to remember, I was very happy to learn that she is receiving the Academy of Motion Picture Arts and Science's Jean Hersholt Humanitarian Award at the seventh annual Governors Awards, which will be held November 14 at the Grand Ballroom at Hollywood and Highland in Los Angeles. Director Spike Lee and actress Gena Rowlands will also receive honorary Oscars. Anyhow, congratulations to Debbie Reynolds! To celebrate here are a few pictures from her career. Debbie enjoying the sun. I'm not sure when this photo was taken.